Weighty Matters: Is Glowelle the world's stupidest drink? 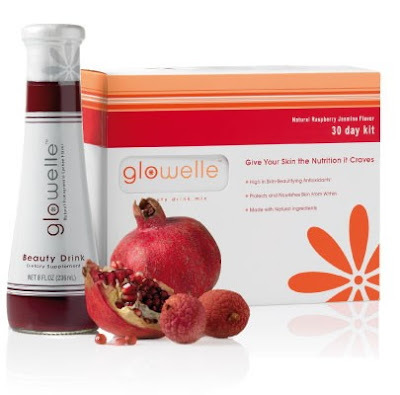 Reportedly Glowelle is the newest entry in the growing "beauty drink market". There's a beauty drink market? "clinically tested premium dietary supplement beauty drink, complete with a powerhouse combination of skin-beautifying antioxidants"
Well according to its ingredients it's basically water and concentrated grape juice with some cane, mango, orange, pineapple and peach purees thrown in for flavour. Oh, and it's got a few antioxidants for good measure. So what about this clinical testing? Well I looked for it on MedLine, the world's largest repository of peer-reviewed published research and came up empty. The Glowelle website on the other hand has a handy "summary" of "statistically significant" findings but no link to the actual study to review, I don't know, stuff like methodologies and absolute results. One thing's for sure - from now on the only thing my hairless mice are getting to drink is Glowelle. At only $7 per 250ml/8oz bottle how could I afford not to give it to them?